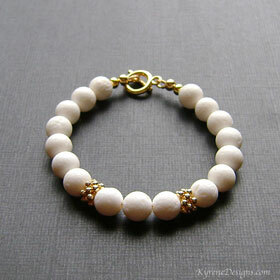 Cool summery white coral gemstone bracelet with a gold plated toggle - an easy clasp to work one-handed. 8mm gemstones. 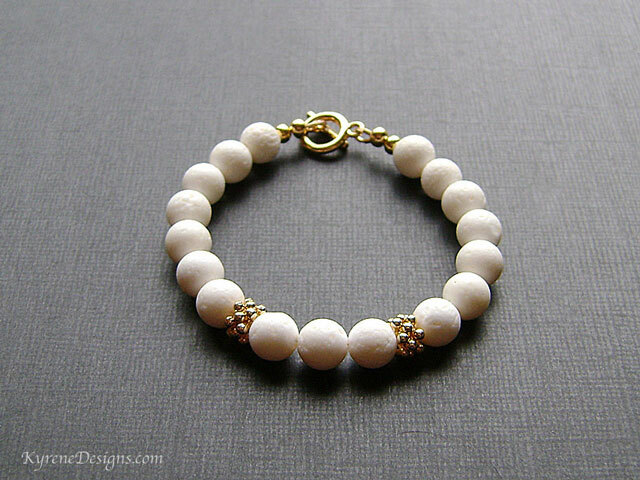 Options: contact sales@kyrenedesigns.com to request bespoke sizes. Only sustainable coral is used.